Our display cases are a fun and attractive way to show off any special mementos you might have. 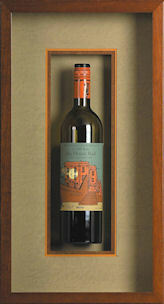 Whether it’s a respected bottle of wine or a meaningful piece of stitching from your grandmother, our frames help you protect an item while showing it off to the world. 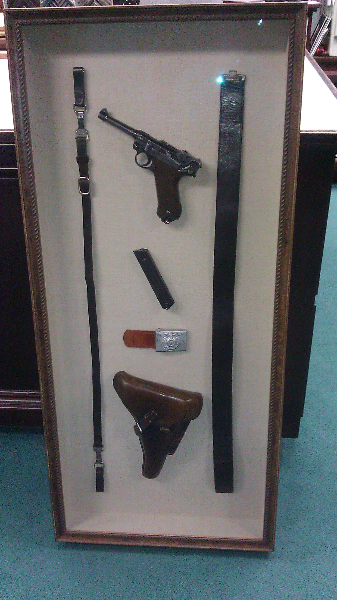 Display frames require custom fitting and other modifications. 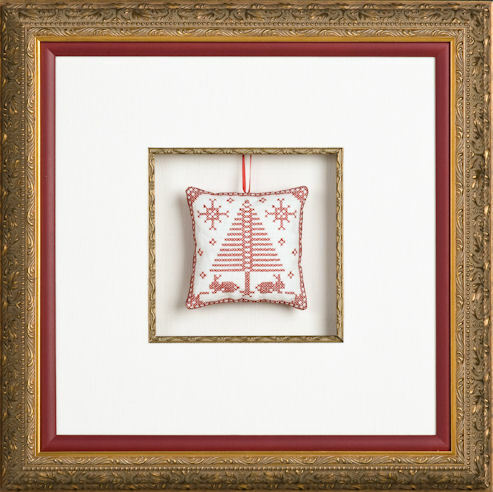 You don’t want to squeeze a precious item into a frame that’s too small or too large. Instead, you want one that fits just right. Why not let our Master Certified Picture Framer customize the display case for you? With years of experience in designing the perfect wooden and metal display cases, your item will look its best when surrounded by one of our specialty designs.